In this hobby, one the best things about January is the excitement surrounding new releases at the annual Craft and Hobby Association winter show. This year's show started Saturday in Anaheim and is now wrapping up. I am thrilled to be on the Design Team for Fancy Pants Designs and want to show you some of the new releases from CHA that really have me smiling. First up is As You Wish. How fun is that?! 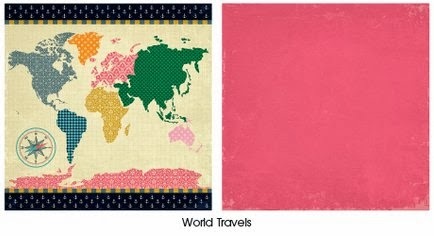 I'm tempted to just frame that colorful map. It's so cute! Here are some of the embellishments. I really dig the rich colors. Be Different is a terrific new line geared toward boys. Plaids, stripes, herringbone and chevron patterns fill this bold line. The collection also includes icons of some of the cutest monsters ever. 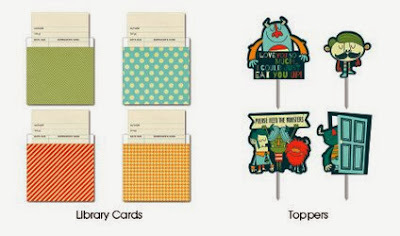 New embellishments this year are library cards and toppers. They come with each line and look really fun! The third collection Fancy Pants debuted was a summer line called Nautical. 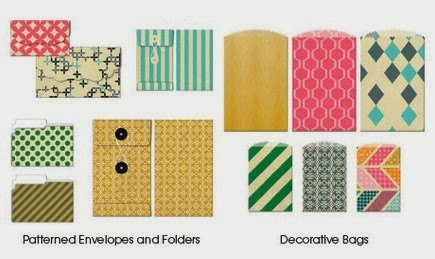 Summer photos are my favorite to scrapbook, so I am super excited about this line. It mixes navy, red, yellow, orange, teal and woodgrain with classic coastal icons. 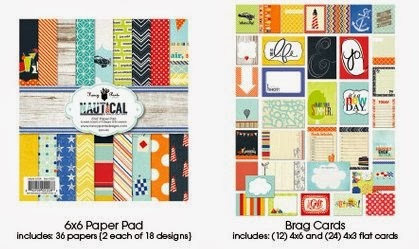 One of the cute additions to each of the new lines are Brag Cards, perfectly sized for Project Life or other papercrafting projects. Each collection of Brag Cards includes 12 4x6 cards and 24 4x3 cards. I can't wait to use them! What did you see at CHA that caught your eye? i th ink be different and nautical are my faves!! Ohhhhh I am loving all of these!!!!!!!!! Oooh, the As You Wish is definitely my favorite, can see that one seeping into my collection in the future. Thanks for sharing, I love CHA posts!